These numbers reflect estimated student expenses for the 2019-2020 school year. Amounts will change slightly from year to year, but as the cost of college increases, the scholarship packages will correspondingly increase. Your official financial aid award will be included in a letter directly from Rice. Outside funding will be used to reduce the Rice grant, dollar for dollar. Rice requires all students to have health insurance either through their parents or another plan. A student plan is available through Rice for $2,682, if the student is not covered by a parent's insurance. Rice will cover half of the insurance premium with additional institutional aid. For students eligible for a Pell grant, the full premium will be covered with institutional aid. Outside funding may be applied toward the remaining insurance premium balance prior to reducing the Rice grant. Upholding of Rice University Honor System. A fixed $600 is credited to the student each term for books. Required fees include the following: $745 standard student fees and $320 Orientation Week fee plus $350 room and board fee during Orientation Week. 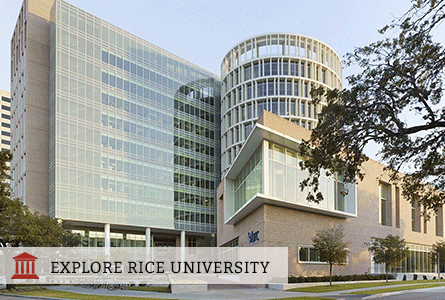 Rice has "need-blind" admission and meets 100% of demonstrated financial need. For families with less than $80,000 in income and assets, Rice meets all demonstrated need with grants and work-study—no loans. 58% of Rice students receive need or merit-based aid. Learn more about financial aid at Rice. Use Rice's Net Price Calculator to estimate the financial aid for which you are eligible.